The internet can be a tough place to distinguish fact from fiction. Who has time to fact-check all those beautiful, weird, and sometimes horrifying pictures? Well, we do. Today we have ten more images you may have seen tossed around on social media recently. And all of them are lying to you. 1) Is this a photo of the Northern Lights in Alaska? The real Northern Lights in Alaska are supposed to be absolutely gorgeous. But sadly, that's not what this photo is showing. 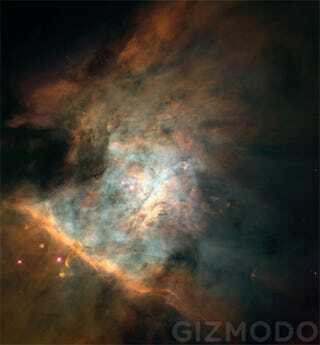 It's actually a panoramic image of the Orion Nebula, taken from the Hubble telescope. The image is understandably quite popular on Tumblr and Twitter. But it's a Photoshop mash-up that dates back to at least 2009. DeviantArt member Jeddaka claims to have created the mountains from scratch, though the jury's still out on that one. Still can't quite spot the artistry of this beautiful fake? Check out Attila Nagy's wonderful GIF explainer below. 2) Is Marlboro actually going to make marijuana cigarettes? After both Washington and Colorado legalized recreational marijuana last year, news spread far and wide on social media that the makers of Marlboro wanted to become the nation's first major weed brand. Do Big Tobacco companies like Philip Morris actually want to become Big Weed? No. No they don't. The source for this particular fake image is a website called Abril Uno, one of those terribly unfunny Onion-wannabes with stories that ultimately gets passed around not because they're funny, but because they're somewhat plausible. But the Marlboro-marijuana association is an extremely old meme. 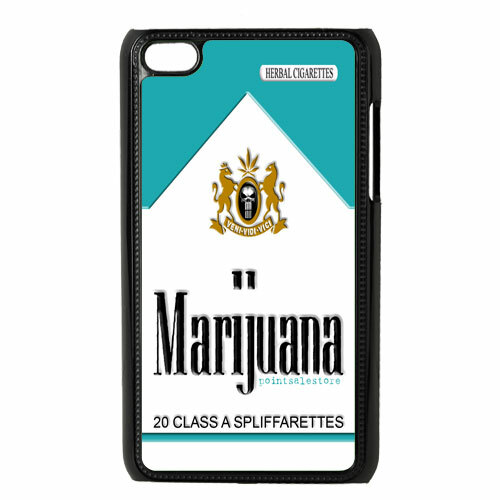 Similar images have been mocked up on everything from t-shirts to phone cases over the years, even though the cheery cancer-peddlers behind Marlboro have no intention of getting in on the wacky tobacky game. 3) Were these women being punished for witchcraft in 1922? Contrary to what you may have read on Twitter, these women weren't being punished for witchcraft, the photo isn't from 1922, and they probably weren't even real prisoners. I emailed Jamie Carstairs, who works on the Historical Photographs of China project at the University of Bristol to ask about the photo. Carstairs described the Twitter caption as "way off the mark." For starters, the image actually dates back to between 1870 and 1880 and was taken by a man named William Saunders, a British-born photographer who died in 1892. The women probably weren't prisoners at all. Experts in 19th century Chinese photography believe that the women pictured are probably just people on the streets of Shanghai who were posed in that cangue by Saunders. Castairs directed me to a 1999 paper by Regine Thiriez, who takes a deeper look at the photo and explains why even some reputable photography books from the 1970s had misdated the image as being from 1907. Both the "witchcraft" angle and the later date of 1922 appear to be an internet fabrication. 4) Is this really Audrey Hepburn dancing? Have you ever noticed someone from a block away and thought you knew them, only to realize when you got closer that it wasn't who you thought it was? That seems to be the case with this supposed picture of Audrey Hepburn that keeps getting passed around on social media. The photo actually comes from a Russian stock images site. And no, that's not the star of the classic 1957 musical Funny Face. But it is a pretty striking resemblance when you don't have access to a higher resolution image. Still not convinced? Take a closer look at the woman in the photo. 5) Does this photo show the recent snow in Florida? Yes, Florida did get some snow recently. But no, that photo being passed around by climate change deniers wasn't it. This year's snow was a bit less intense in the Sunshine State, as you can see from the Instagram photo on the right. The photo on the left dates back to at least 2010. And no, snowstorms in the South don't disprove the overwhelming scientific evidence that shows climate change is really happening. 6) Is this "Sad Putin" after Russia lost to Finland in hockey? You may have seen this photo getting passed around yesterday showing a dejected Vladimir Putin after the Russian Olympic hockey team was defeated by Finland 3-1. Russia was bumped from medal contention, so it would be an understandable reaction. But the photo isn't actually from that game. It's a Getty Images photo that was taken two days earlier when Russia played Slovakia. Amazingly, the Russians actually won that game 1-0. Yet another lesson that we should all be skeptical of just about every image coming out of Sochi right now. 7) Is this really a double-decker bus race from 1933? No, that's not a real photo of a double-decker bus race in 1933. It's a pre-Photoshop photo collage, despite what sources like Retronaut and @HistoryInPics might claim. The National Archive of the Netherlands clearly archived the photo in its Flickr account under fakes, photo montages and retouched images. On the right, an actual double decker bus being tested circa 1933 to prove its stability. 8) Is this a super moon from Sequoia National Park? Is this a photo of the "super moon" in Sequoia National Park? No. 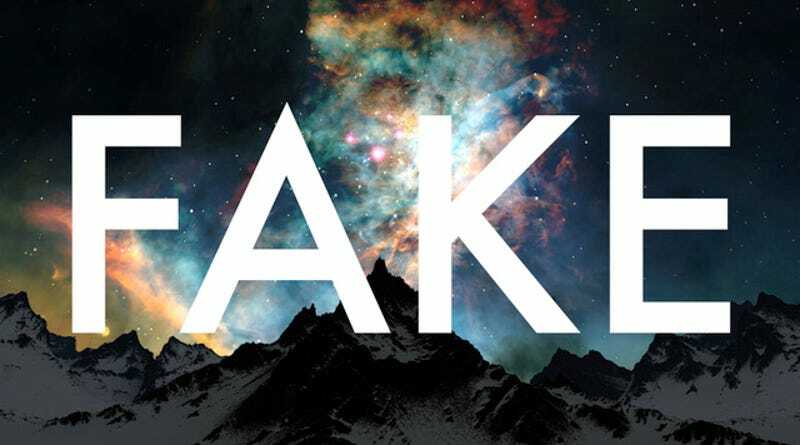 But even the experts can be fooled when it comes to beautiful fakes of nature. The Twitter account for the National Parks Conservation Association sadly tweeted this photo from Imgur as if it were real. But as Twitter fakes sleuth @PicPedant points out, it's actually a photo from Europe with a gigantic, glowing "moon" photoshopped in. 9) Is this a photo of Civil War soldiers with a tank? Could this really be a color photo of Civil War soldiers posing in front of a tank? Of course not. It's clearly a modern photo of Civil War re-enactors. But that didn't stop one of the web's biggest history Twitter accounts from tweeting it out as real. Someone recently started an account called @AhistoricalPics, poking fun at the inaccuracies of accounts like @HistoryInPics and @HistoryInPix. The parody account tweets out obviously false facts, and silly photoshopped creations. But amazingly, the folks behind @HistoryInPix didn't get the joke. They took that obviously mislabeled photo from the parody account and presented it as real. Confederate General Benjamin Franklin must be rolling over in his grave. 10) Was this a place for disposing of ugly children? That's not very nice, is it? No, that cruel photo of an "ugly child" making the rounds isn't real. It's a poorly rendered photoshop. Well, at least the sign is. The original photo can be found at the Getty Images and clearly shows that the sign actually reads: "Please Keep Off The Grass." Admittedly, it's still not clear why that young girl is stuck in a trash bin. But we can hope that it's just a momentarily posed joke by a weirdo photographer in 1928. The past was pretty weird on its own. One wonders why so many people keep trying to make it even weirder. For more viral fakes check out Teddy Roosevelt riding a moose (FAKE! ), JFK cuddling with Marilyn Monroe (FAKE! ), and Nikola Tesla lounging on the beach (SPOILER ALERT: FAKE! ).